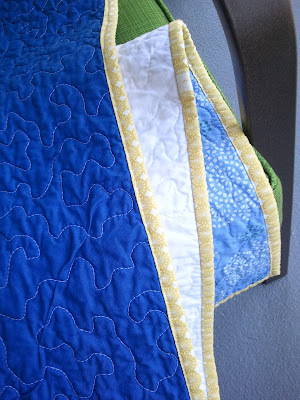 Sew Festive Handmade: A 25 hour quilt. Ish. 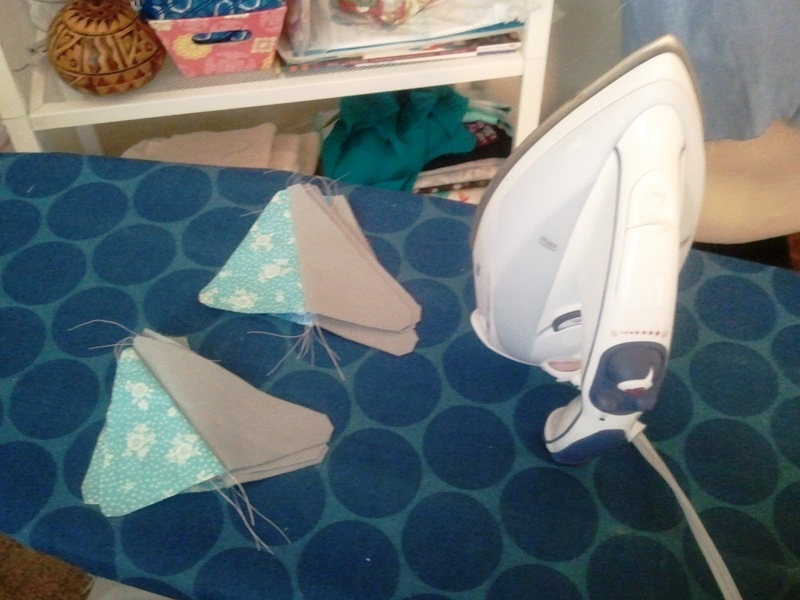 If you're looking for my Sew, Mama, Sew! Giveaway, please go here. 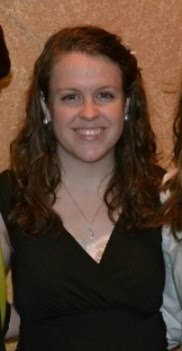 So yesterday I shared the story surrounding my friend's wedding quilt. And today I promised you the process. Now, just a warning, if you get stressed by time deadlines, you might want to avert your eyes from this post. Also, I swear I'm not normally like this, but the universe just did not smile on me making this quilt! 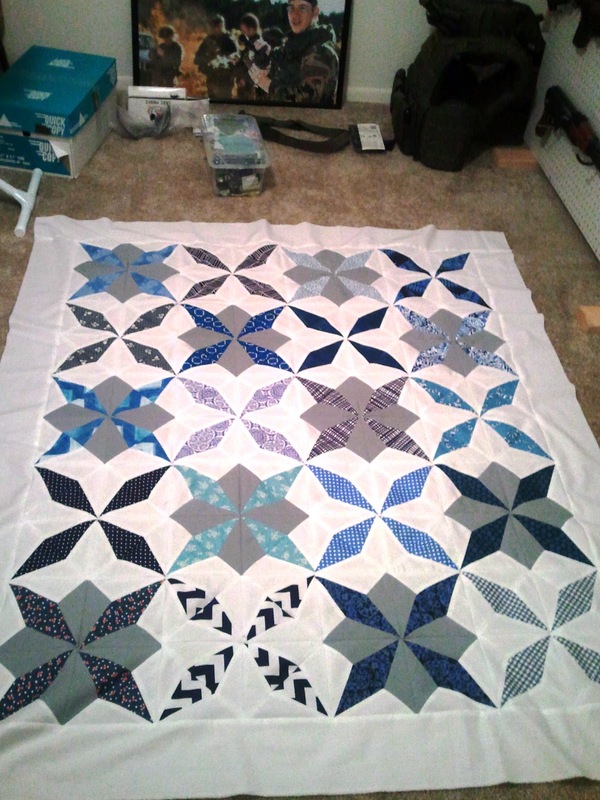 Sometime in January I decided I wanted to make a quilt for my friend Rachael for a wedding present. Her wedding isn't until July, so I thought I'd take my time and get to it later in the year. 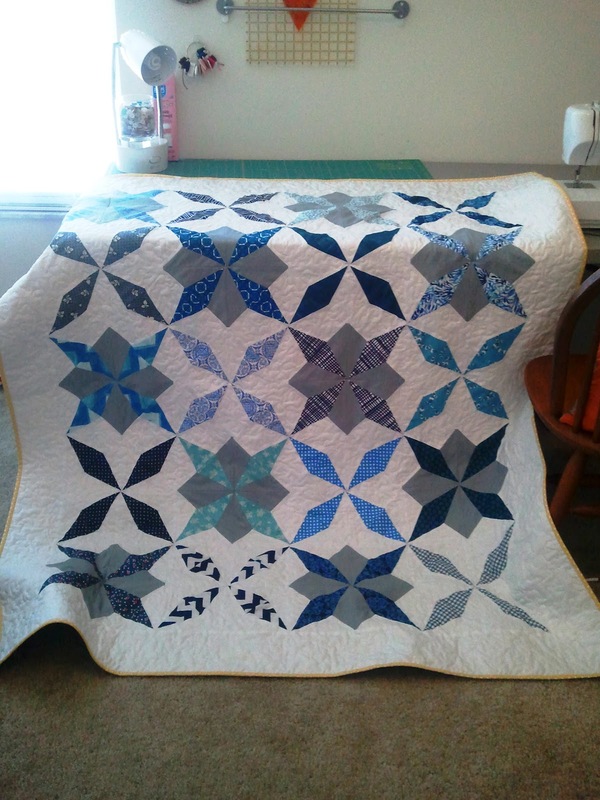 On May 1st [the day I moved into my new place] I got the invitation to her bridal shower [on May 20th] and decided I wanted to give the quilt to her then so I could see her open it. I'd make it in her wedding colors of blue and gray with a pop of yellow. 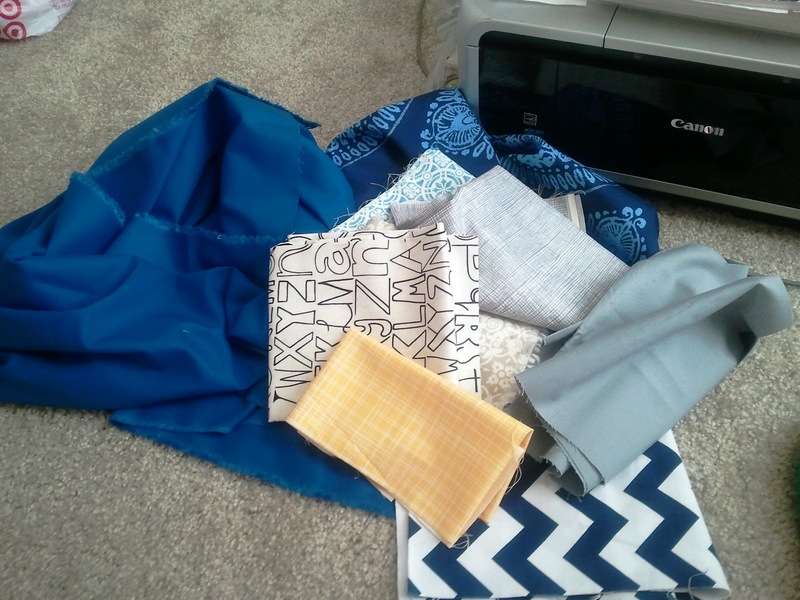 May 3rd-5th I chaperoned a conference for my sister's high school newspaper, and took my blue fabric with me to start cutting out the pieces. Except I forgot the templates. No cutting took place. Finally perfected my enlarged templates [#18 Century of Progress block from Farmer's Wife Quilt]. Or so I thought. Ran to my LQS [30 min drive] to get whatever true blue fabrics I could find and hopefully a light gray. I ended up with a Moda Bella gray of some sort. More cutting. Seriously. I got a blister. It was all cut by hand after I traced my templates. Sewed together a couple of pieces and realized my templates were off, but if I sewed 3/8" seams then they were good to go. This should have been foreshadowing. This is what I had at noon. I had 25 hours before I had to leave for the shower. Ready, set, go! 4 pm: Realized that I wanted it to be bigger than 3x4 blocks, and so I needed 5 more blocks. 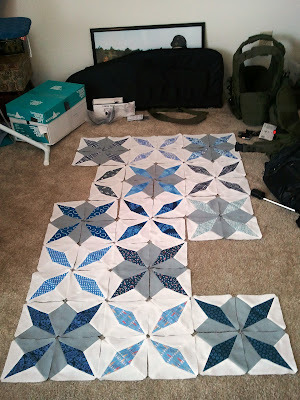 6 pm: Went to Joann's to buy all the blue DS Quilts prints that they had that were blue and white. 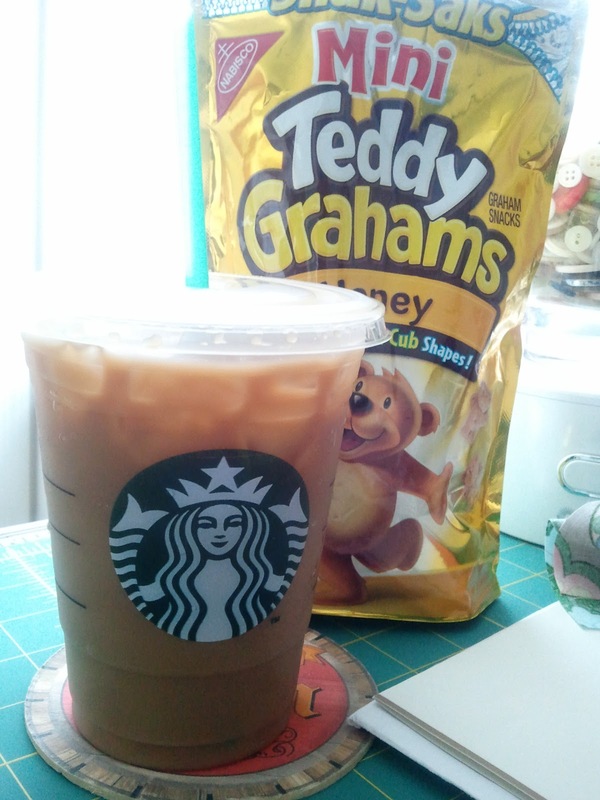 Also refueled on caffeine. Note: thousands of teddy grahams gave their lives during the making of this quilt. 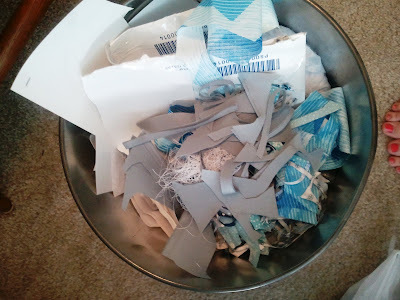 7 pm: Throwing possible backing fabrics on the ground. Thinking I should have just bought a sheet for the back. 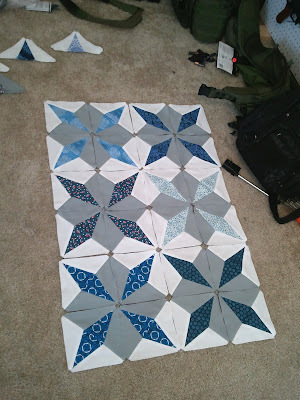 8 pm: Stephen walked in the room and said I needed to get rid of the rockets in the bottom middle because it was the only block with colorful blue fabric [since when does he give quilt input?!]. I replaced it with the only blue and white fabric I hadn't used, a Riley Blake chevron. 9 pm: The backs looked pretty good considering I was sewing as fast as I possibly could. 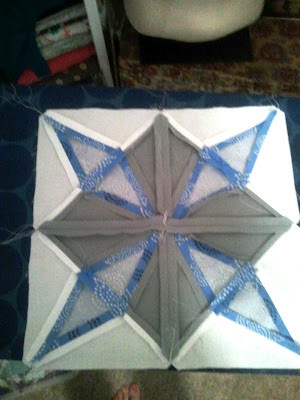 6 am on Sunday: I don't really liked colored borders, and I had just enough white to make the quilt about 5 inches bigger on each side. 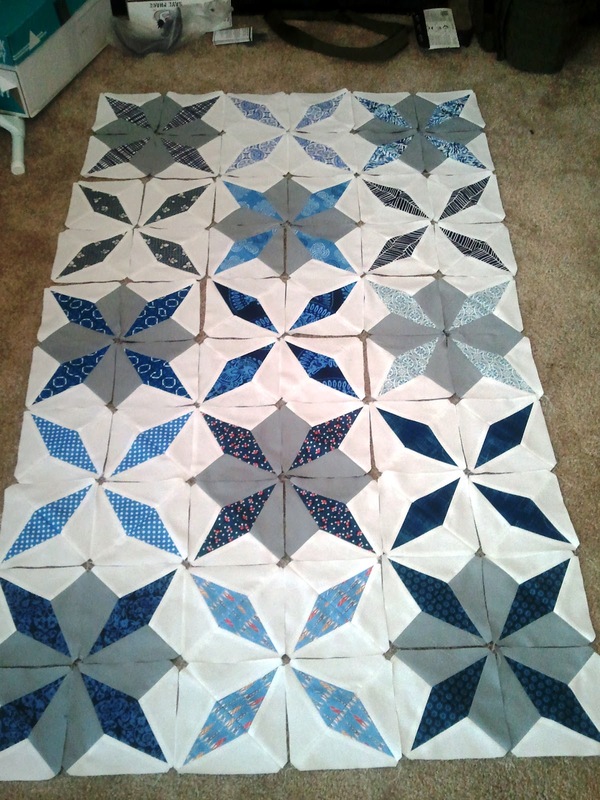 7 am: Backing is pieced, and quilt is basted. Stephen even offered to help, because he had just gotten home from work. I was astounded once again, but really appreciative. Basting was [I thought] so much easier on this longer carpet! It was so smooth and nice! 11:45 am: FINISHED. 1 hour and 15 minutes early. Long enough for me to stick it in the washer and dryer, for me to take a shower, and then to take pictures of the quilt. It was a quilty miracle. There was really only one moment when it was tragic. When I realized my basting on the back got messed up. I blame this partly on being very tired because I didn't re-check the backing when I was done basting. 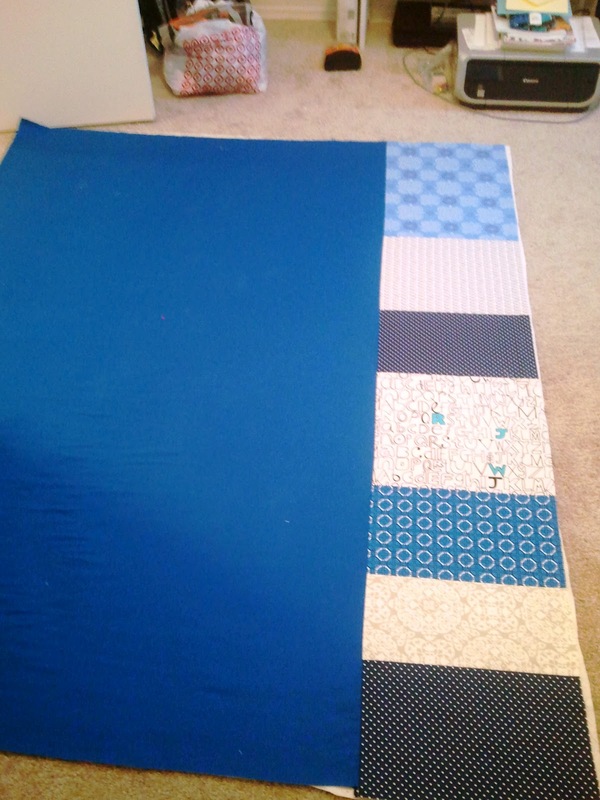 And then didn't realize it was bubbly/puckered until I was DONE quilting. I didn't have any option but to go with it, because I had no time left. After I washed it it got a little better, but there are still spots like this fold that makes me so sad. 24 pieces per block x 20 blocks = 480 pieces. That's 480 hand-traced and hand-cut pieces. Plus sewing the blocks together. Plus the borders. 500 seams. The majority of it [everything except those first 6 blocks] was done over a 25 hour period. I was awake a total of 32 hours from Saturday morning to Sunday evening. After the shower, I went home and slept for 14 hours. Wowza! Good for you, it's beautiful. WOW! 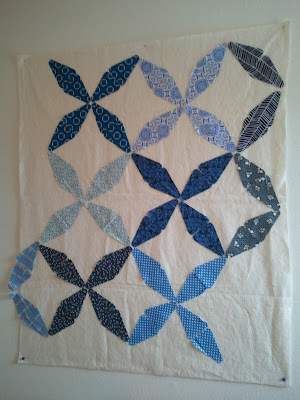 seriously that baby pucker is your only qualm in a 25 hour quilt! damn girl I'm impressed - its absolutely gorgeous, where did you say the template was from? an enlarged version of a farmers square? Wow - you did it! That's completely nuts. It really it gorgeous! They probably won't even notice the spot on the back - I always worry about those things too and my fiance goes, I didn't see it, they won't either. Lol. Holy crap ! What a story ! I can just imagine you running around like a crazy person trying to finish this on time.. WOW!!!! if I had half or ur energy I would love it! It turned out awesome and those small crinkles in the back? They only give the quilt a bit of character imo. And a reminder that it was made in a very short period of time. Well done! Oh. My. Gosh. You did such a beautiful job! Talk about dedication! This is impressive, and it looks gorgeous!! 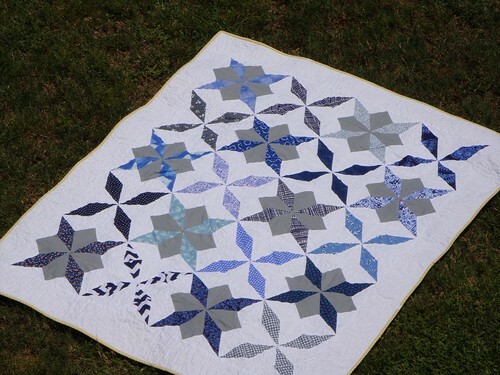 I need to find the templates for this wonderful quilt. Did you create them yourself or are they available commercially? Oh, thank you for the quick template reply --- I will put pen to paper and create one!